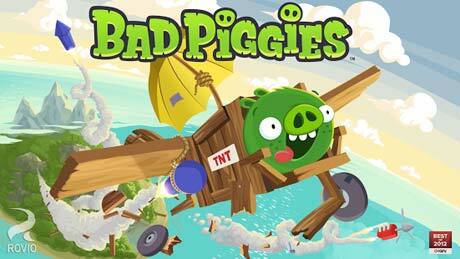 Bad Piggies HD is a puzzle game for android. 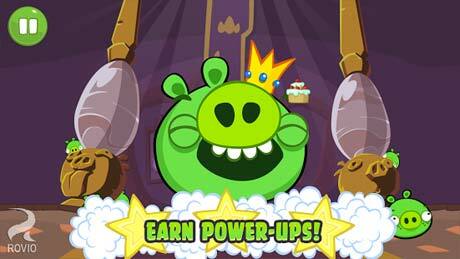 Bad Piggies HD is a game that, you control the evil pigs. 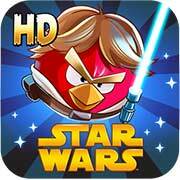 From the creators of Angry Birds: a game from the PIGS’ point of view! OiNk! Build makeshift contraptions from a huge collection of parts and make it to the goal without blowing your vehicle to pieces! The Bad Piggies are after the eggs again — but as usual, nothing is going according to plan! Can you create the ultimate flying machine and steer them safely to their destination? Those tricky pigs have a few objects they can use, but they need your help to turn these into the perfect transportation! With more than 200 levels, and free updates coming up, you have hours and hours of pig-crashing, exploding, and flying fun! Get three stars to unlock 36 more levels! HINT: Sometimes you need to play the level several times to achieve all the objectives — try building a new device or steering in a different way to earn all the stars! ● Over 200 levels crammed with flying/driving/crashing fun! ● 9 sandbox levels to stretch your creativity, plus Junkyard available as IAP! ● 37 objects to create the ultimate machine: motors, wings, fans, bottle rockets, umbrellas, balloons, and much more! ● Need help? This little piggy will build it for you! ● Mechanic pig pre-assembles transport for you! ● All you have to do is pilot it! ● Tweak his design to get all three stars! ● It’s new, free, and HUGE! ● No limits to your creativity in this massive sandbox! ● Use the new Gearbox to put your contraptions in reverse! Get ready to see pigs fly!